Marquette Catholic University High School is an intimate, focused high school program where students can earn a Core 40 with Academic Honors diploma while also earning college credits towards an associate degree through dual-credit courses. 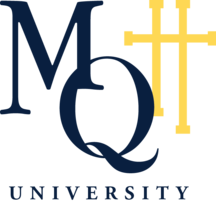 Launched in 2017, Marquette Catholic University High School, also known as "MQTT-U", is a school within a school. It affords families the advantage of reduced tuition for college credits and an increased opportunity for academic scholarship at the post-secondary level. Furthermore, it compresses the time and money it takes to complete an honors diploma and the first two years of college. MQTT-U labs and classrooms are part of Marquette Catholic High School's current campus at 10th and Wabash Streets. The new St. Mary's expansion will also house classrooms and labs for students and teachers.